We study the problem of salient object subitizing, i.e. predicting the existence and the number of salient objects in an image using holistic cues. This task is inspired by the ability of people to quickly and accurately identify the number of items within the subitizing range (1–4). To this end, we present a salient object subitizing image dataset of about 14 K everyday images which are annotated using an online crowdsourcing marketplace. We show that using an end-to-end trained convolutional neural network (CNN) model, we achieve prediction accuracy comparable to human performance in identifying images with zero or one salient object. For images with multiple salient objects, our model also provides significantly better than chance performance without requiring any localization process. Moreover, we propose a method to improve the training of the CNN subitizing model by leveraging synthetic images. In experiments, we demonstrate the accuracy and generalizability of our CNN subitizing model and its applications in salient object detection and image retrieval. The online version of this article (doi: 10.1007/s11263-017-1011-0) contains supplementary material, which is available to authorized users. This research was supported in part by US NSF Grants 0910908 and 1029430, and gifts from Adobe and NVIDIA. Everingham, M., Van Gool, L., Williams, C. K. I., Winn, J., & Zisserman J. (2007). The PASCAL visual object classes challenge 2007 (VOC2007) results. http://www.pascal-network.org/challenges/VOC/voc2007/workshop/index.html. Gurari, D., & Grauman, K. (2016). Visual question: Predicting if a crowd will agree on the answer. ArXiv preprint arXiv:1608.08188. Shin, D., He, Shu, Lee, G. M, Whinston, A. B., Cetintas, S., & Lee, K.-C. (2016). Content complexity, similarity, and consistency in social media: A deep learning approach. https://ssrn.com/abstract=2830377. Vedaldi, A., & Fulkerson, B. (2008). 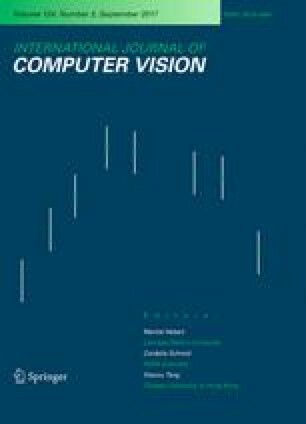 VLFeat: An open and portable library of computer vision algorithms. http://www.vlfeat.org/.